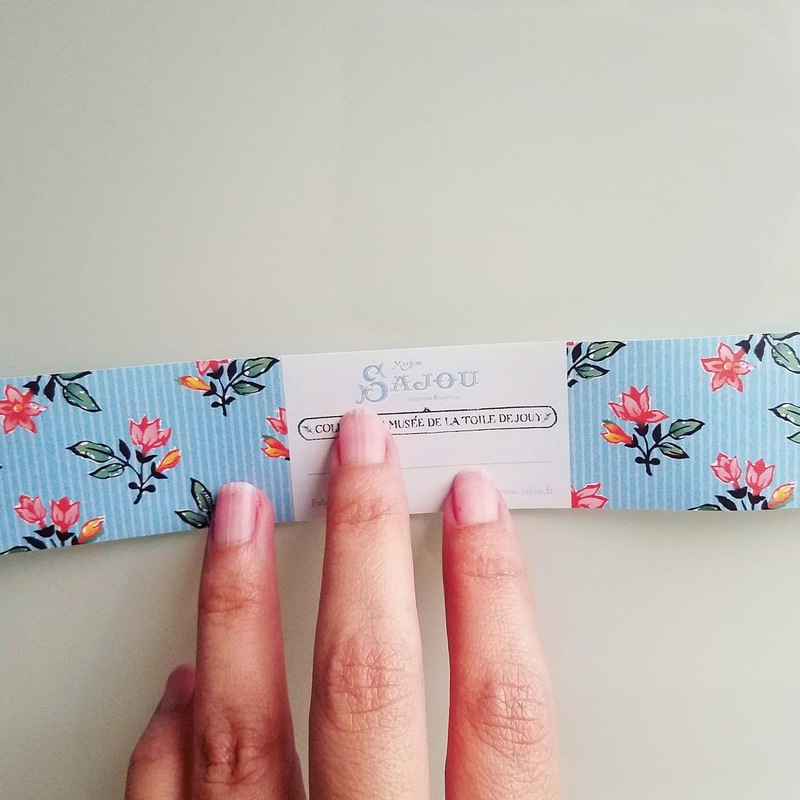 feeling stitchy: Très Chic Stitchery: Sajou Kit Giveaway! 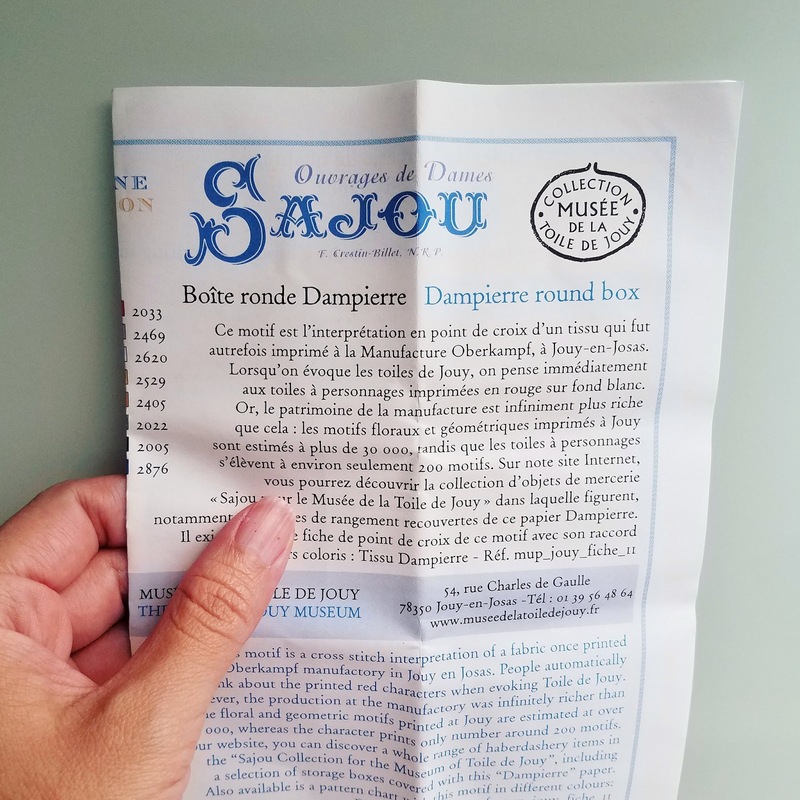 Today we have the treat of showing you some lovely details of this Sajou Embroidery Kit, courtesy of Très Chic Stitchery, who has also sent us 1 additional kit to give away to our readers! I have seen Sajou threads online, but never in person, so it was a real pleasure to take a look at these threads! 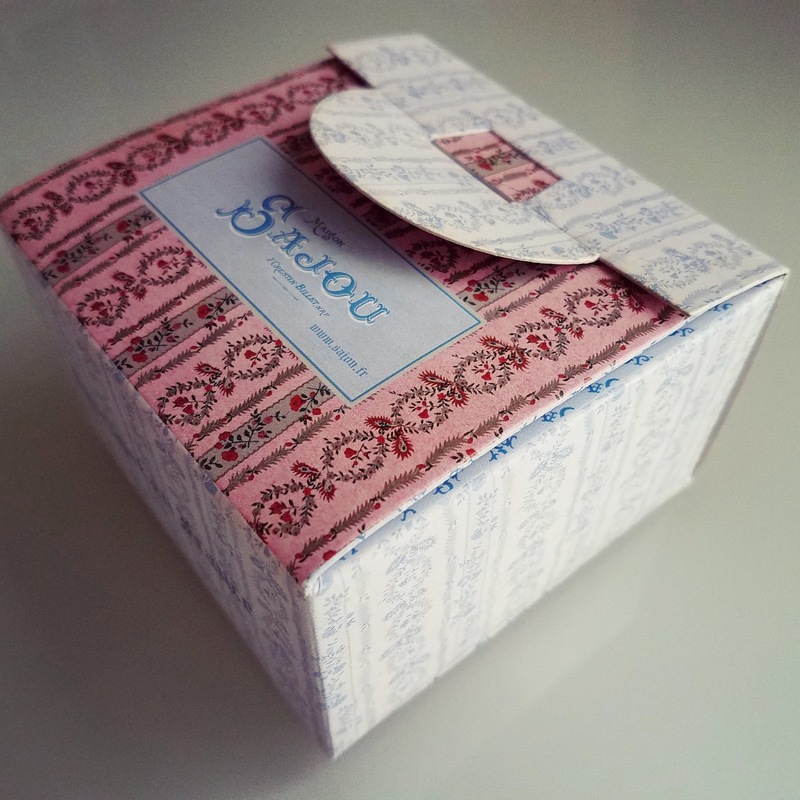 This kit comes with a small square of blue evenweave linen, a card with all the Sajou threads for the design, cotton batting, 2 paper strips with the Jouy fabric pattern to line your box, pattern instructions, and the little cardboard box itself, which looks very much like a little biscuit tin. It would be perfect for storing notions or little keepsakes. 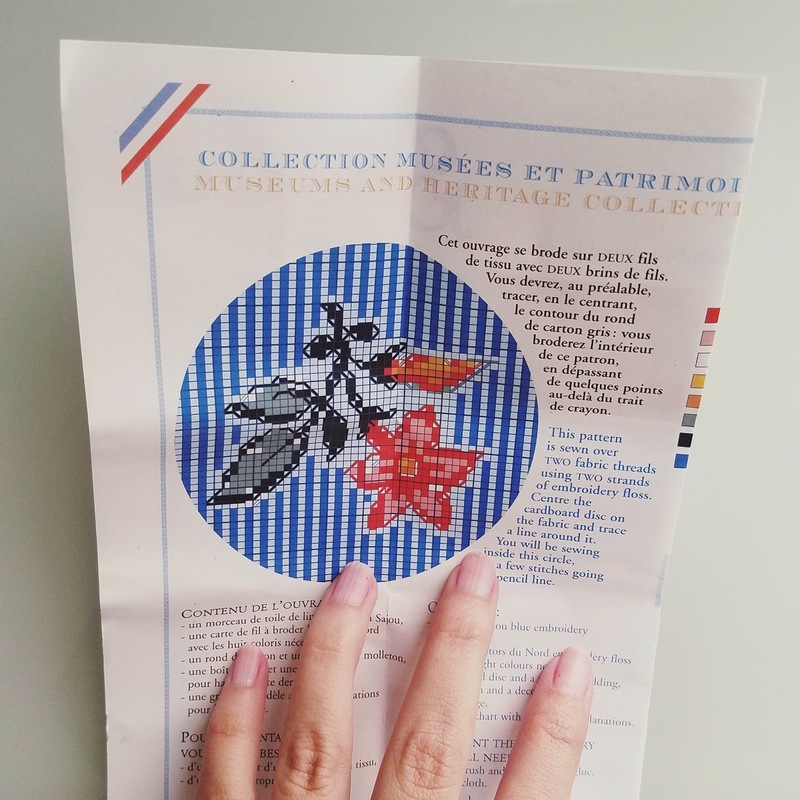 I'd like to thank Très Chic Stitchery for sending us this exquisite little kit, and giving us the chance to share one with you! I'd highly recommend a visit to their shop, if you'd like to see more Sajou items, like scissors, threads, patterns, and other kits. To enter this giveaway - please leave a comment on this post - this giveaway is US-only, I am sorry for that but we wanted to make sure the winner gets their prize quickly! 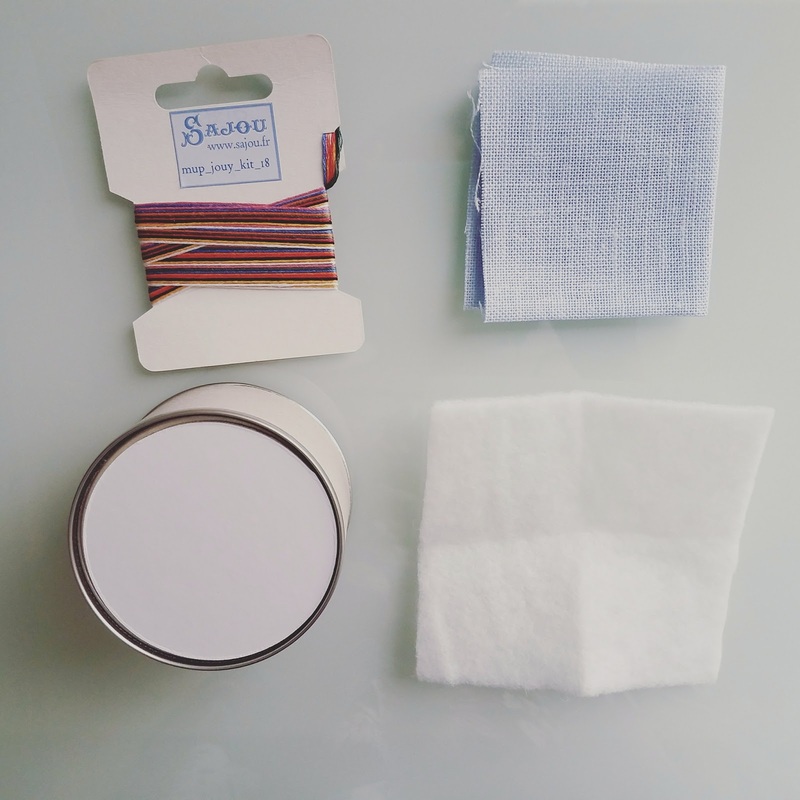 In your comment please tell us - have you ever used Sajou threads or kits before? Or, what is your favorite item in the Très Chic Stitchery store? I'll leave comments open through next Saturday, August 5, 12PM CST, when I will close the comments and choose one random winner!